The state of Florida offers multiple specialized alcohol and drug rehab options to address the unique and specific care needs of its male population of SUD sufferers, as men face their own set of gender-specific circumstances rendering them vulnerable. Whether it’s something as broad the difficulty living up to the societal expectations of masculinity, high rates of prideful and impetuous alcohol consumption, or painkiller addiction developed from a work-related injury, there are seemingly endless scenarios that can lead men to alcohol and drug addiction. Treating this group requires understanding their struggles and the common routes to long-term dependency. 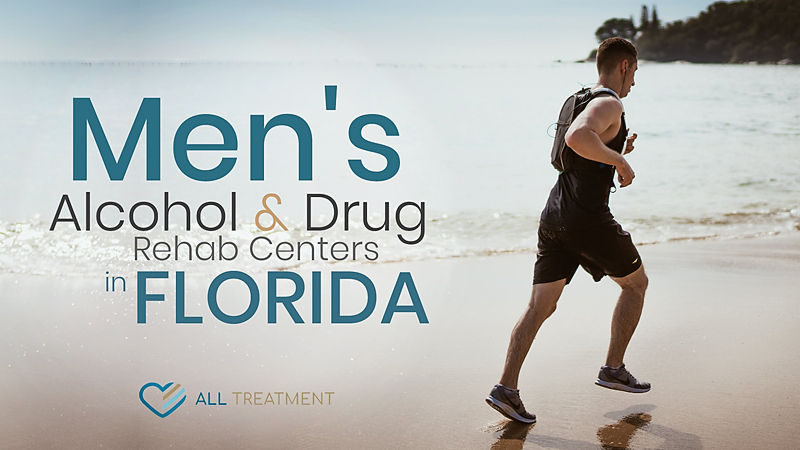 Florida offers many types of rehab for men who need to overcome their drug and alcohol addiction, including inpatient, outpatient, partial-day programs, and more. These programs include group therapy, one-on-one counseling, MAT, and supplemental therapies specific to men’s psychological health needs. Types of therapy depend on facility resources, patients’ care needs, and the model of the rehab program. Some of the more unique therapies associated with men’s rehab include nature therapy, anger management, and modalities concerned with issues related to masculinity and other elements of the male persona. Many of these programs also offer family therapy to help patients rebuild their relationships with their loved ones. As men are often the primary financial providers, the fallout created from their drug and alcohol abuse can be deeply dysfunctional to their families. If you or a male loved one need treatment for alcohol and drug addiction in Florida, there are many facilities that offer gender-specific treatment programs to start the healing process. Browse our inventory of treatment facilities and find the right facility for you or your loved one.